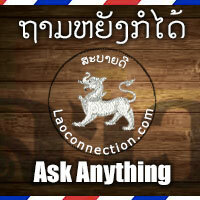 Answer: Lao laws are often placed on the internet now by the Lao ministries that oversee the particular legislation that's relevant to them. You can find the laws and learn the legal terms from there. For example, at the Ministry of Planning and Investment site, you can find Lao laws on investment written in English and Lao. Similarly, you can do this for other areas of Lao law. Environmental law is another one that comes to mind - visit the Ministry of Natural Resources and Environment. Further, the Ministry of Justice also has a site and also offers a compilation of laws and legislation, as well as, apps that you can download to access the laws and a separate app to learn and understand law terms. I can't vouch for how good the apps are but it's there if you want to try and explore. Hope it helps.